Getting into shape is a goal for many people. However, knowing what to eat, how to exercise and which fitness advice to follow can be a challenge. There are countless fitness myths and misconceptions out there, and the Internet makes it easy for false information to be spread. Myth: Exercise can negate poor eating habits. Fact: As the saying goes, abs are made in the kitchen, not in the gym. No matter how hard you work out, you will not be able to make up for a poor diet. “You can’t out-exercise a crappy diet,” personal trainer Maik Wiedenbach says in Forbes. “Your eating has to be in check. About 80% of what you look like is based on diet.” It’s important to be realistic about your caloric input and output, which is really how weight loss goals should be set. Fact: Achieving your fitness goals has just as much to do with your diet and what you eat as how much time and effort your put into your exercise program. Myth: Eating less will help you to lose weight. Fact: To the surprise of many, eating less is not more when it comes to losing weight. People sometimes think that if they don’t eat much, they will lose weight. “Many people eat under their basal metabolic requirements and are lacking sufficient calories to fuel their bodies. This can lead to nutritional deficiencies that cause fatigue, poor exercise performance and disrupted sleep, all of which can halt fat loss. A good rule to follow is to eat good quality food which fulfils your own requirements – it's very difficult to get fat eating vegetables and quality protein. Don't just think 'move more, eat less'; think of optimising your health and fuelling performance, and weight loss will be a by-product,” says Jean-Claude Vacassin in the Telegraph. Myth: Carbs are the enemy. Fact: Carbs are NOT the enemy. They are vital to having the energy you need to get through the day and through a workout. It’s the types of carbs you choose to eat that are the issue. For example, pizza and donuts are not good sources of energy. Focus on foods such as brown rice, whole grains and pulses, all of which are high in complex carbohydrates. Myth: Women should do different exercises than men. Fact: When it comes to men and women, all exercises are created equal. There are no exercises that are just for men, and no exercises that women should avoid. It is also not true that women should use lower weights and do more reps than men. The amount of weight and number of reps you do for an exercise should depend on your fitness goals. Myth: Lifting weights will make women look bulky. Fact: This is one of the most popular myths out there today, and it is one of the main reasons why women tend to stick to cardio machines. Lifting weights will not make women look bulky, and you will not develop Hulk-sized muscles overnight if you decide to pick up some free weights. Myth: Crunches will give you abs. Fact: Contrary to popular belief, crunches will not give you washboard abs. Yes, they will help with toning your mid-section, but other full-body exercises, such as squats, deadlifts and chin-ups, will also do the same. If you want abs, you will need to reduce your body fat. Myth: You can spot-reduce fat by exercising one area. Fact: Unfortunately, you cannot reduce fat in one area. Your body burns fat as a whole, so you will lose fat proportionally. Sure, you may see better results in one area by focusing on it, but you cannot lose fat only in one area of your body. Myth: More exercise is better. Fact: Not true, so if you think your seven-days-a-week workout program will give you an edge, give yourself a break. Your body needs time to rest and recover from strenuous workouts. If you push your body too hard without proper recovery time, you could increase your risk of injury. 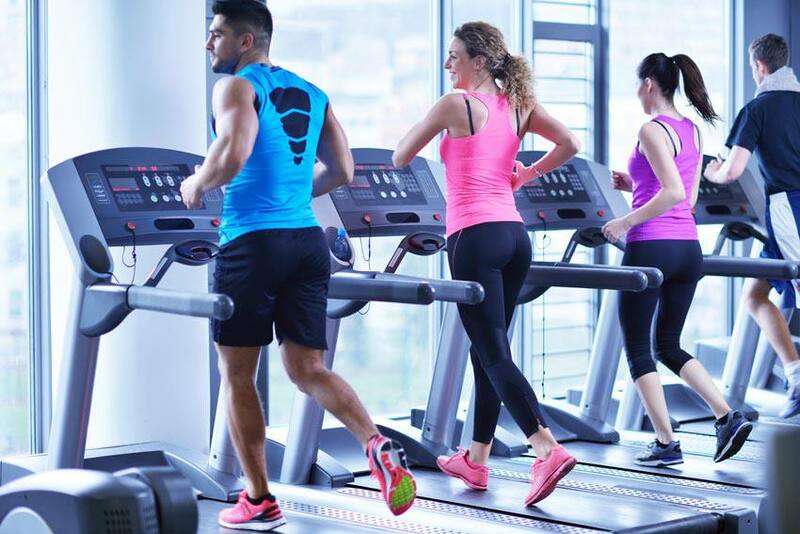 Myth: Cardio is best for fat loss. Fact: Yes, cardio will help with fat loss, but it shouldn’t come at the cost of skipping weight training, which helps to strengthen bones. A better approach is to have an exercise program that includes both cardio and weight training components. The key is to exercise at a high intensity. Be realistic about your exercise routine and you will be in a better position to achieve your fitness goals. For best results, consult a personal trainer or health care professional.